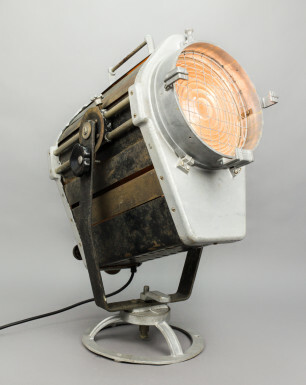 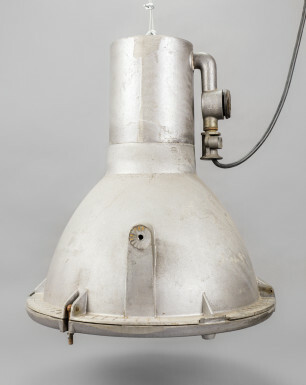 During the DDR-era, these industrial spotlights featured 1000 watt light bulbs, and were used to illuminate objects from great distances. 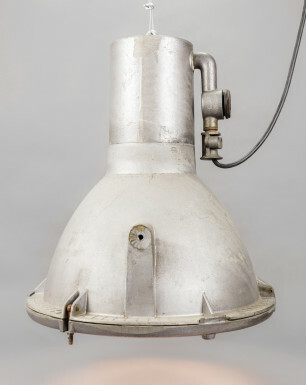 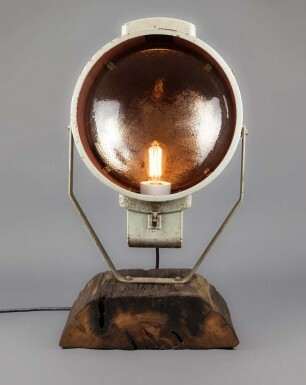 The lamp has been manufactured by the East German company Leuchtenbau Leipzig, and consists of a enameled steel-plated housing holding a porcelain socket. 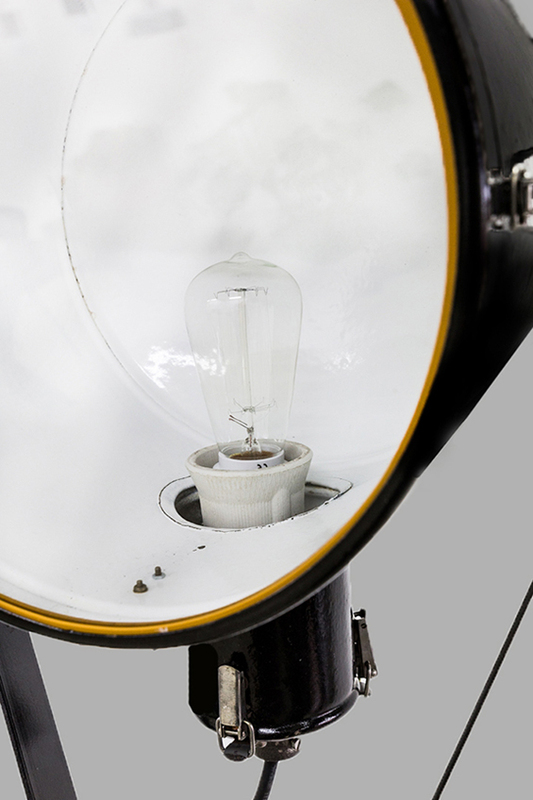 The fixture has been featured with a special deco-bulb, and the damaged glass window has been replaced. 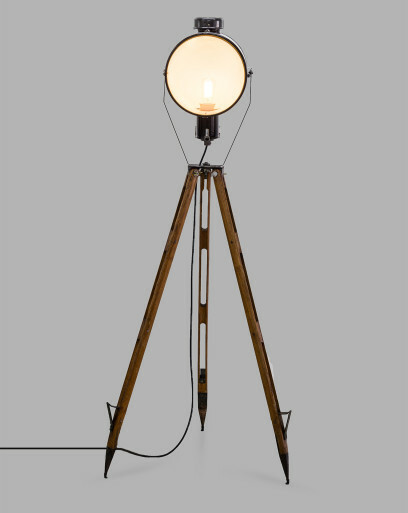 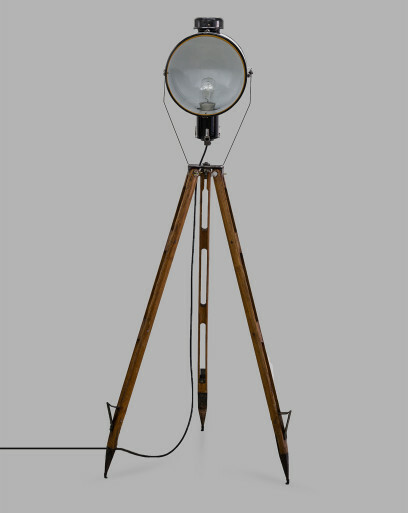 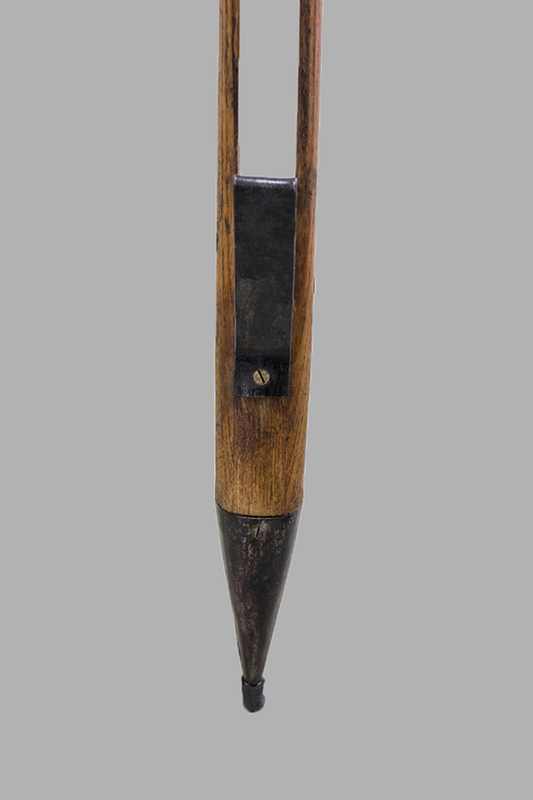 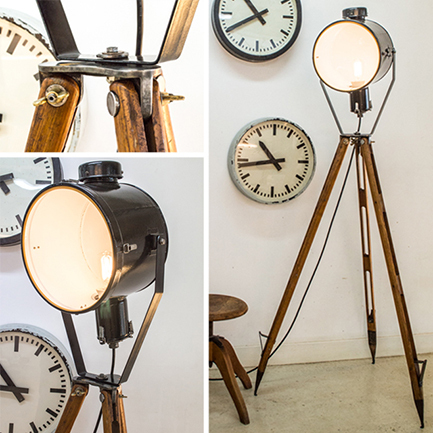 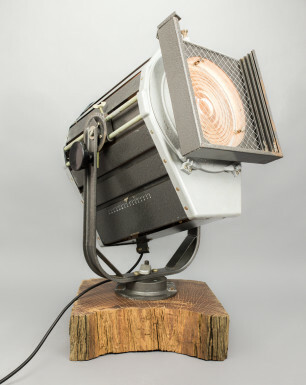 We combined the lamp with a beautifully aged wooden tripod. 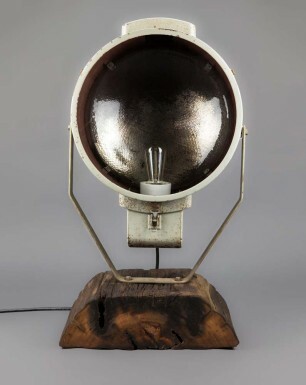 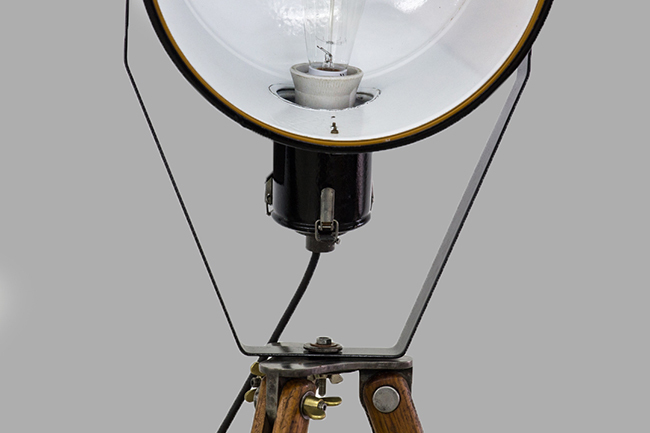 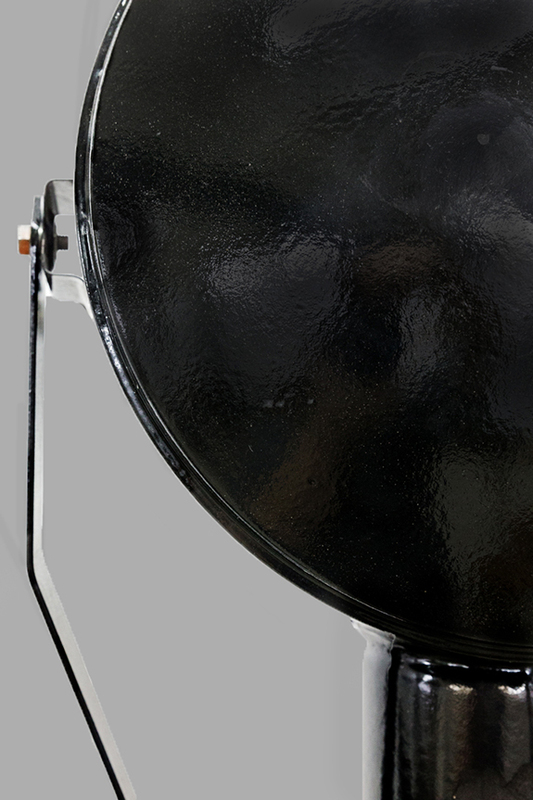 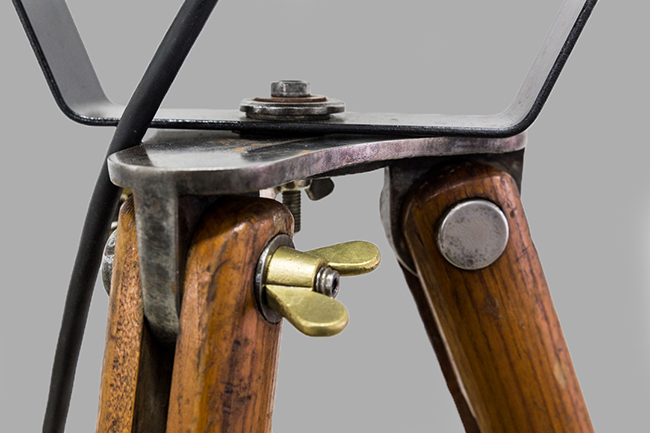 This ‘carrier’ of the lamp has some fine metal parts, that have been smoothen to give them back their natural shine. 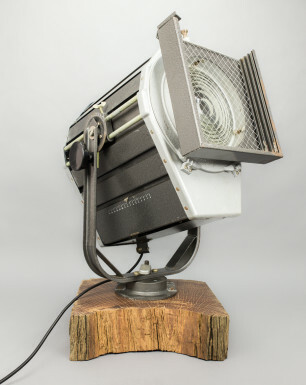 The Eagle Owl originates from a small military complex north of the German capital Berlin, where it was mounted to the wall to illuminate one of the large storages. 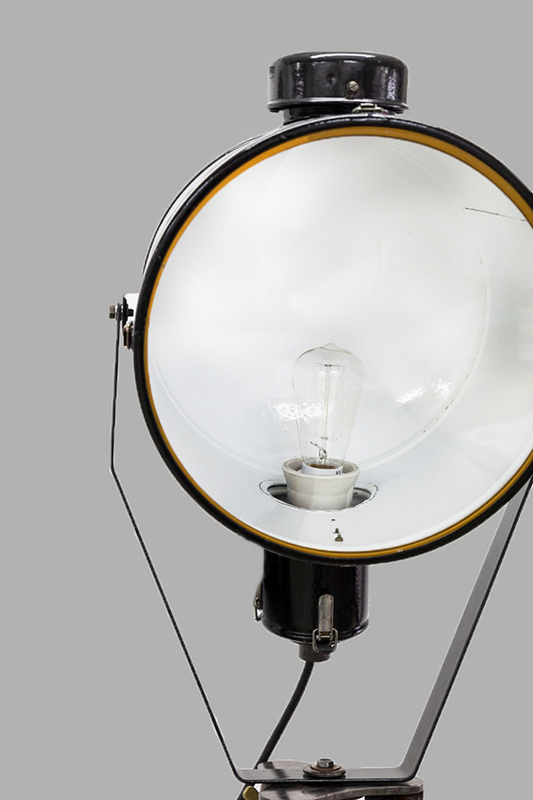 The lamp comes with a special 40 watt E27 deco bulb, 1,5 meter matt black cable with a plug, and a passport describing its history and origin.